Think you can make it through the course without knocking over a cone? Put on the fatal vision goggles, take a spin in the golf cart and give it a try. Think it’s easy to walk the line? It’s not! You’ll be surprised how hard it is once you put the goggles on. 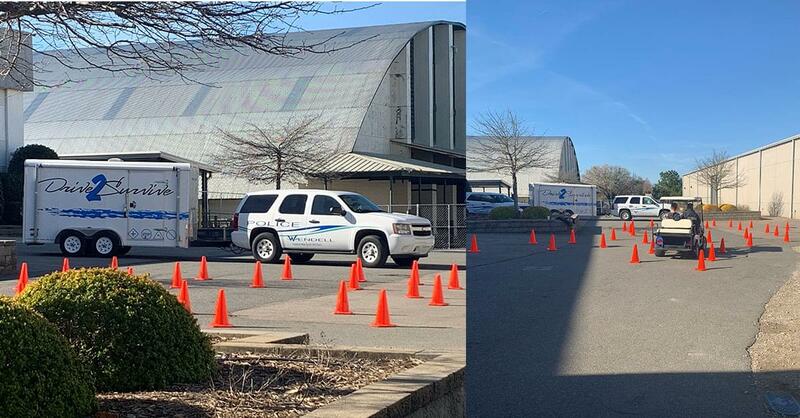 The Wendell Police Department are at the NC International Auto Expo on Thursday, Feb. 14th with their Fatal Vision Course funded by the Wake County ABC Board. The course simulates what it would be like if you were to drive while intoxicated, or try to walk the line after drinking. You’ll be surprised at the results. Remember – NEVER drink and drive! Thank you to the Wendell Police Department, the Wake County ABC Board and the NC International Auto Expo for helping to keep our roads and drivers safe.